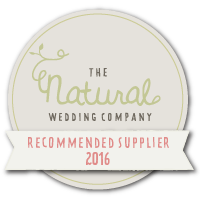 It is popular at this time in a new year to look back over the last one and it was quite a year in that The Flower House went from retailer to freelancer in April so the majority of our weddings were created in the Studio, hence the slight change of name. 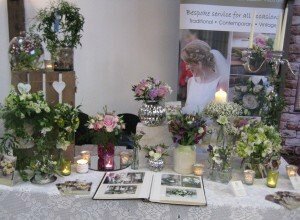 January – Blackstock Farm Open Day 17th & Wedding Fair 24th Jan. We will also be at Bannantynes on that day. February – The Royal Wells Hotel 7th, De La Warr Pavillion 14th & Cooden Beach Hotel on Saturday 27th. I am also working on our Pinterest boards, if you are a bride to be, we will create one for you and there will be lots of general wedding ideas. 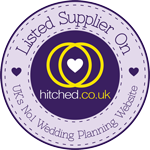 Many of last years weddings have appeared in previous blogs but there are a few still to be reviewed. I usually have a little prediction at this time of year as to what I think will be popular for weddings for the current year so here goes – we will continue to see blush & grey, along with metallics, be it silver, pewter, copper or gold and this could be in the form of sequins, table ware, dress and cake embellishment and ‘luxe’ being a key word. For flowers I think (and hope) the more natural style will prevail with foliages becoming increasingly prevalent – time will tell!